Top temporary art exhibitions in Berlin 2019 feature Mantegna and Bellini, Gustave Caillebotte, Adolph Menzel and early 20th-century female artists. The exhibition Mantegna and Bellini. 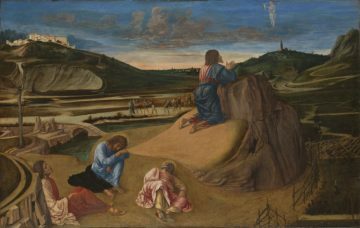 Masters of the Renaissance travels from London’s National Gallery to the Gemäldegalerie as the top temporary art exhibition in Berlin in 2019. The Alte Nationalgalerie will feature impressionist Gustave Caillebotte and female painters, who were allowed to participate in regular art courses at the Berliner Kunstakademie for the first time only a century ago. The Kupferstichkabinett will show watercolour, pastel and gouache works by Adolph Menzel, as well as a selection of works acquired in the last decade. For special contemporary art exhibitions in 2019 in Berlin see the Hamburger Bahnhof – Museum für Gegenwart. The Gemäldegalerie (Paintings Gallery) in Berlin’s Kulturforum is one of the greatest art collections in the world. It houses the Berlin State Museums’ collection of European Old Masters paintings from the 13th to 18th centuries. The permanent collection includes 16 works by Rembrandt. The “Mantegna and Bellini. Masters of the Renaissance” special exhibition will add a surcharge to regular museum admission payable by all visitors, as the temporary exhibition cannot be seen separately from the main museum. Tickets for the Gemäldegalerie during the Mantegna and Bellini exhibition will be €14 rather than the regular €10, which makes the Kulturforum day ticket (€16) and Museum Pass Berlin (€29) even better value than usual. “Mantegna and Bellini. Meister der Renaissance” is a special exhibition of the Staatliche Museen zu Berlin and the National Gallery, London. 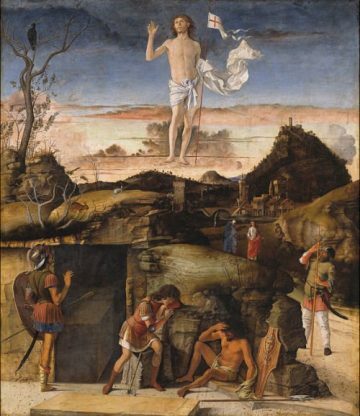 It features around 100 works to compare and contrast two of the greatest Renaissance artists, who also happened to be brothers-in-law: Andrea Mantegna (c. 1431–1506) and Giovanni Bellini (c. 1435–1516). In 1452/3 the ambitious painter and printmaker Mantegna, who was active in Padua, married into the Bellini family, who were among the leading painters in nearby Venice. 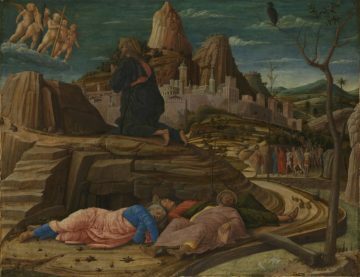 Mantegna’s brilliant compositional innovations and his deep interest in classical antiquity made a major impact on his youngest and most talented brother-in-law, Giovanni Bellini. 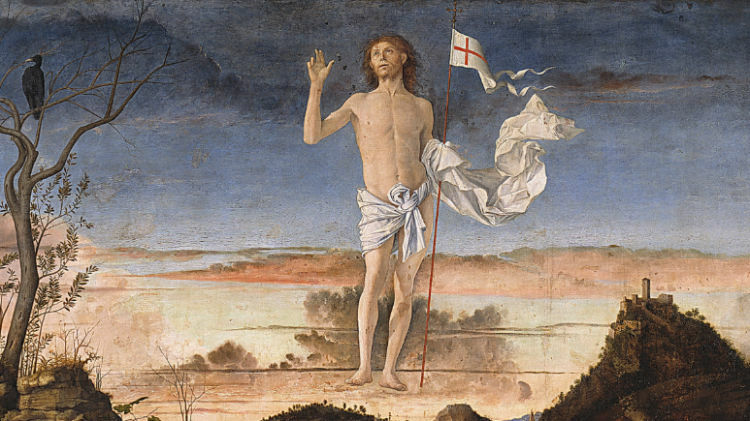 In time, Bellini’s very different pictorial style also had a deep effect on Mantegna’s work. Mantegna and Bellini did not work in close proximity for long: In 1460 Mantegna moved to Mantua. He remained Court Painter to the ruling Gonzaga family until his death in 1506, and Bellini, who died ten years later, spent his whole career in Republican Venice. They were active in very different environments, and their artistic styles developed in sometimes very different ways. Yet their work, for the rest of their long lives, provides evidence of their continuing creative artistic exchange. The Alte Nationalgalerie, resembling a Greek temple, is one of the imposing museums on Berlin’s Museum Island. The name Old National Gallery refers to the age of the building, it actually displays mostly 19th century European art. Temporary exhibitions here are generally relatively small and integrated into the main museum and therefore require no surcharge (and similarly cannot be seen separately from the main exhibition). Admission to the Alte Nationalgalerie is €10, or part of the Museum Island day ticket (€18) or three-day Berlin Museum Pass (€29). “Gustave Caillebotte. 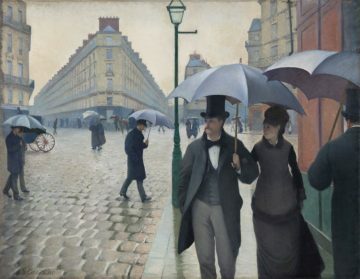 Der malende Mäzen der Impressionisten” will place Gustave Caillebotte’s (1848-1894) painting Paris Street; Rainy Day, an Impressionist icon in the Alte Nationalgalerie in Berlin. Caillebotte’s painting is one of the showpieces of the Art Institute of Chicago, and the painter’s most important work. Due to its imposing size, it has rarely travelled to Europe, and hasn’t visited Europe at all since its comprehensive restoration in 2013. This pioneering work, with its life-sized figures and unconventional perspective, was first presented at the Impressionists’ third exhibition. It is indicative of their new way of seeing, and of Caillebotte’s interest in the new urban spaces in Paris created by Georges-Eugène Hausmann. This focused exhibition also looks into Caillebotte’s patronage. As a collector and sponsor, he was involved in financing and organising the Impressionists’ first exhibitions. Caillebotte’s efforts to promote the presence of Impressionism in public collections display striking parallels with Hugo von Tschudi, who did just that through his acquisitions policy at the Alte Nationalgalerie. “Künstlerinnen der Nationalgalerie bis 1918” is a special exhibition by the Nationalgalerie – Staatliche Museen zu Berlin. Exactly 100 years ago, the first women were allowed to participate in regular art courses at the Berliner Kunstakademie. While such a late date is no cause for celebration, it nonetheless offers the opportunity to consider the works of these women painters and sculptors, who triumphed against adversity to break into the art world and succeeded in having their works included in the Nationalgalerie’s collection. 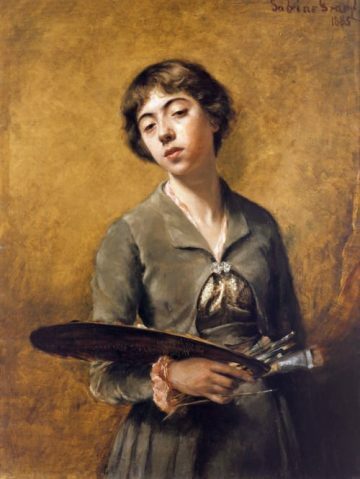 Among them are Sabine Lepsius’s self-conscious self-portrait, Maria Slavona’s impressionistic view of the houses of Montmartre, and Caroline Bardua’s spectacular paintings. Even more than the painters, the sculptors encountered opposition to their artistic activities. The powerful works of the German-American sculptor Elisabeth Ney and the Berlin artists Käthe Kollwitz and Renée Sintenis gave the lie to such prejudices. Alongside these well-known names, the exhibition also invites visitors to discover lesser-known figures, some shown in the Alte Nationalgalerie for the first time. The Kupferstichkabinett (Museum of Prints and Drawings) in Berlin is with more than half a million prints and a further 110,000 works on paper the largest museum of graphic art in Germany. Due to the fragility of most of the works in the collection, the museum does not have a permanent display but rather frequently changing thematic exhibitions. These are usually seen on a special ticket, or in combinations with other museums in the Kulturforum or with the Museum Pass Berlin. “In bester Gesellschaft. Ausgewählte Erwerbungen 2009 – 2019” puts a selection of the most significant acquisitions made by the Kupferstichkabinett over the last 10 years on show. 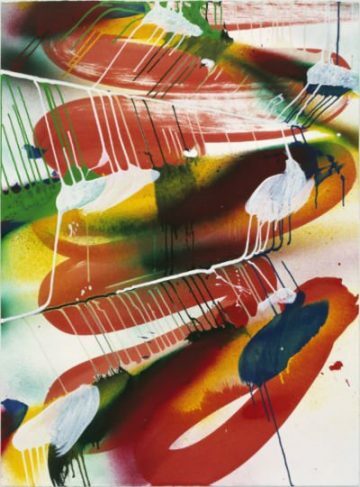 The works date from the Late Middle Ages to the present, by artists ranging from Hans Holbein the Elder to Max Slevogt, Yves Tanguy, Brice Marden and Katharina Grosse. In addition to purchases made by the museum, there are also gifts, bequests, and a number of works that were restituted and then re-acquisitioned. Many significant purchases were only made possible by the financial support of external patrons. The exhibition thus aims to highlight not only recent individual acquisitions and the circumstances in which they were acquired, but also important players such as the Graphische Gesellschaft zu Berlin (Society of Graphic Arts). In addition, the exhibition includes works from the museum’s collection that constitute points of reference for the new arrivals, those with which they are in dialogue, and with which they now find themselves in the best of company. 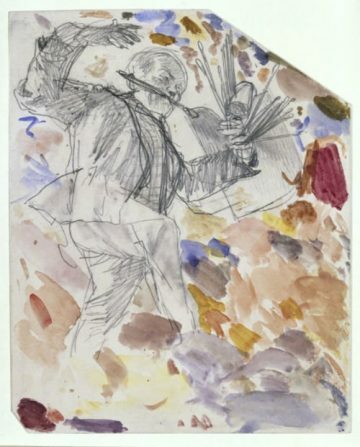 The Alte Nationalgalerie has numerous large monumental paintings of Menzel on permanent display but for a long time, the cosmos of his more intimate, colourful watercolour, pastel and gouache works has not been known in its entirety, and has been waiting to be illuminated in all of its facets. The impetus for the exhibition was the purchase of one of the artist’s masterpieces, which was long believed lost. In spring 2018 the pastel work Die Schlittschuhläufer im Berliner Tiergarten (Ice-Skaters in the Berlin Tiergarten, 1855) was acquired by the Kupferstichkabinett with the support of the Federal Government Commissioner for Culture and the Media, the Kulturstiftung der Länder (Cultural Foundation of the German Federal States), the Ernst von Siemens Kunststiftung and the Rudolf-August Oetker-Stiftung. Around 100 of Menzel’s watercolour, pastel and gouache works from the museum’s own collection will be on show, complemented by a number of select loans. Ticket Prices for Berlin State Museums (prices for museums, temporary exhibitions, combination tickets, online time-slot reservations). Buying online from Tiqets or GetYourGuide is a lot simpler and cost the same as the official museum website. Save with the Berlin Museum Pass – 30 museums in three days for €29. Top Temporary Art Exhibition in Berlin for other major special exhibitions in 2019. The Humboldt Forum in the Berlin Schloss should open towards the end of 2019. The Neue Nationalgalerie with twentieth-century art (up to 1970) remains closed for renovations. Pergamon Museum with Ishtar Gate. Pergamon Museum Panorama Exhibition with Asisi panoramic painting. Neues Museum with bust of Nefertiti. Alte Nationalgalerie with Caspar David Friedrich paintings. Musical Instruments Museum near the Berliner Philharmonie.